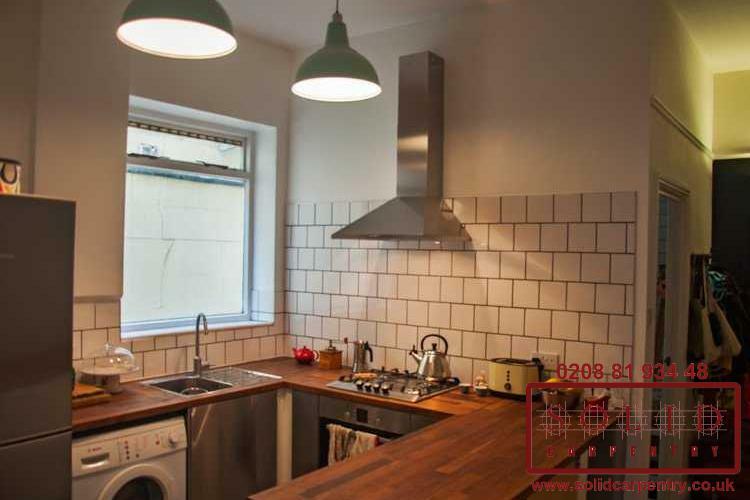 The kitchen is so often the real heart of the home. 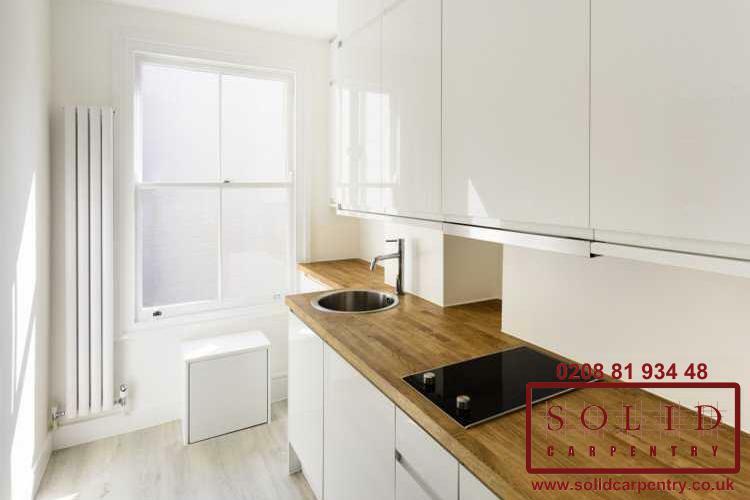 Imagine then, being able to enjoy a kitchen that has been expertly designed with your lifestyle and individual requirements in mind. 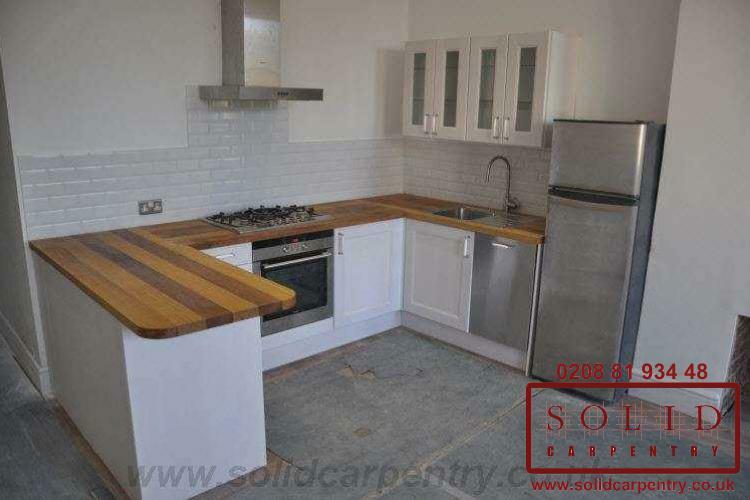 The Gallery at the left displays some recent Solid Carpentry kitchen fitting projects in which our specialist team of designers, craftsmen, and installers came together to create the highest quality kitchen solutions. 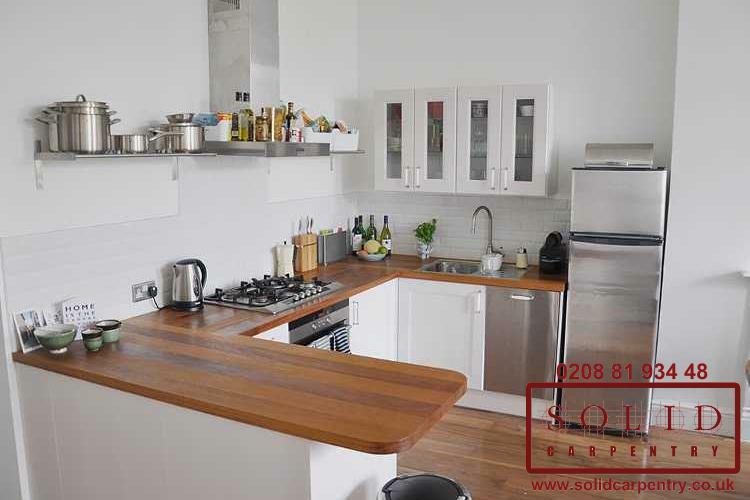 Each kitchen was designed to maximise the space available with appliances, cabinets, counters, shelves, and drawers installed to suit the needs and preferences of the owner. 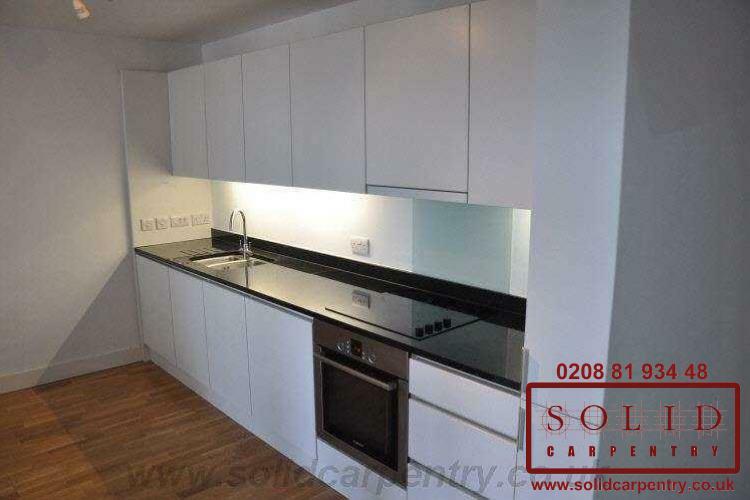 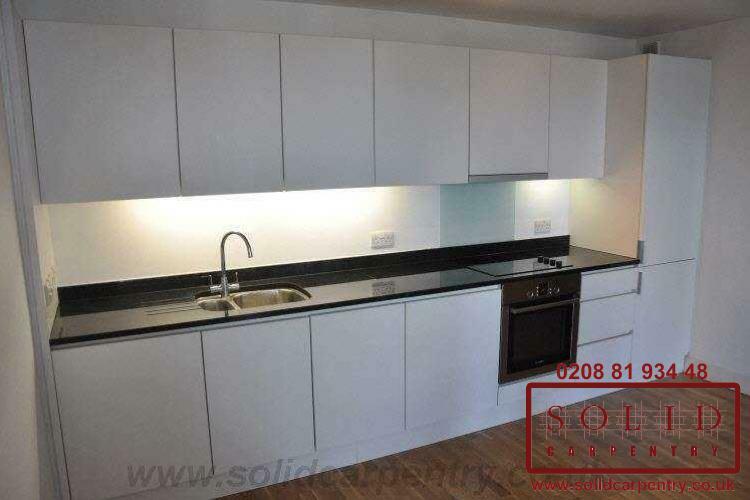 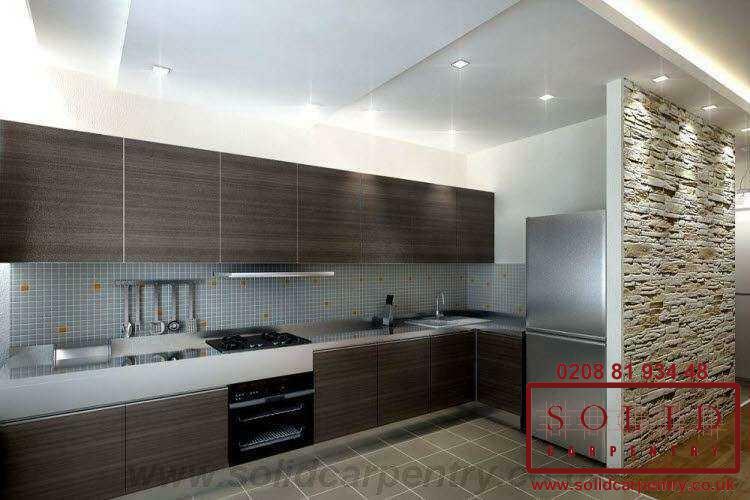 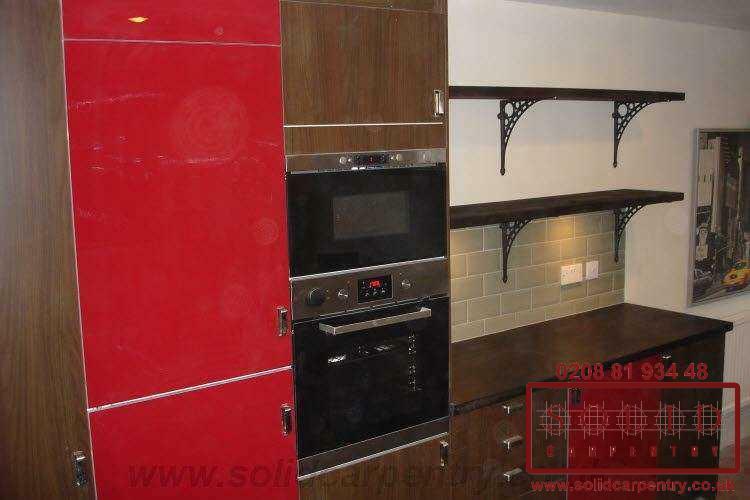 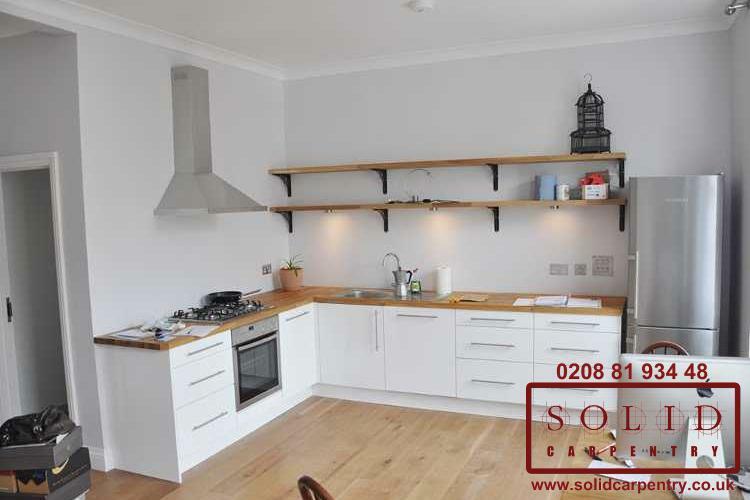 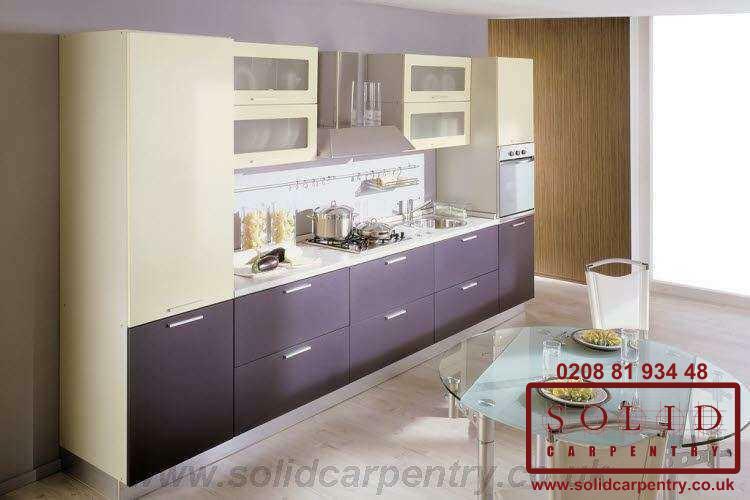 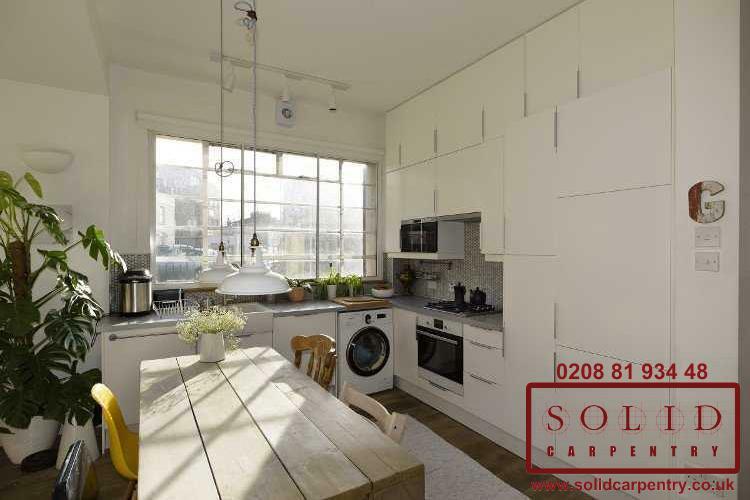 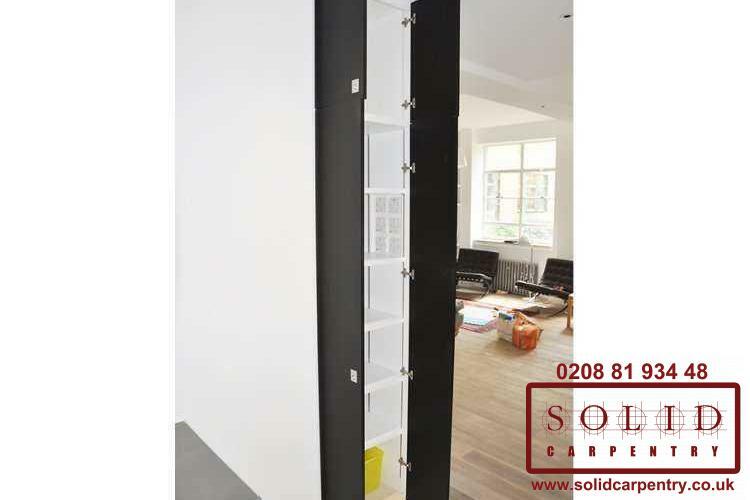 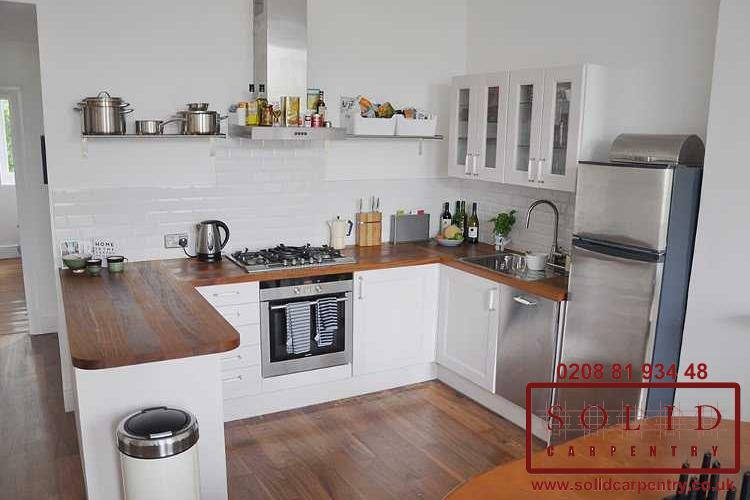 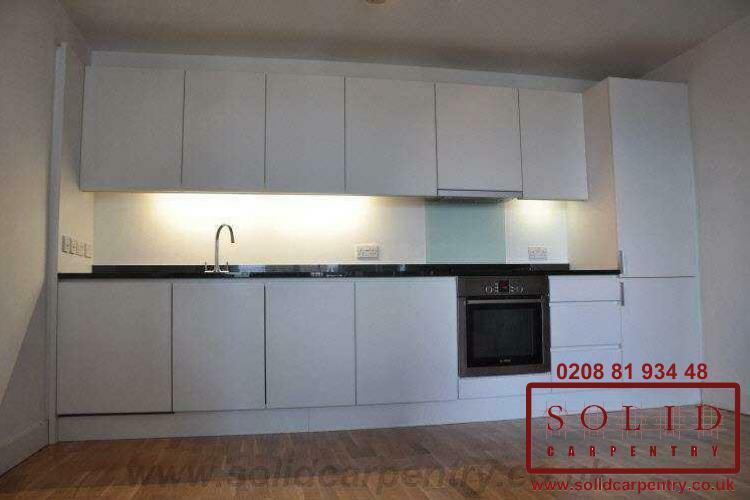 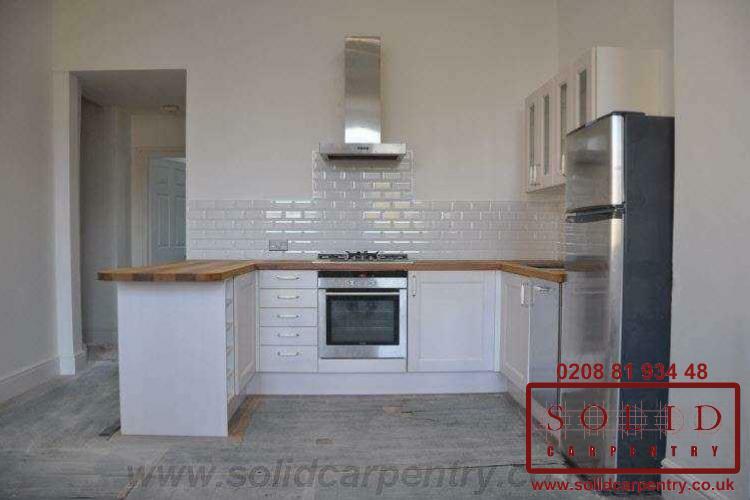 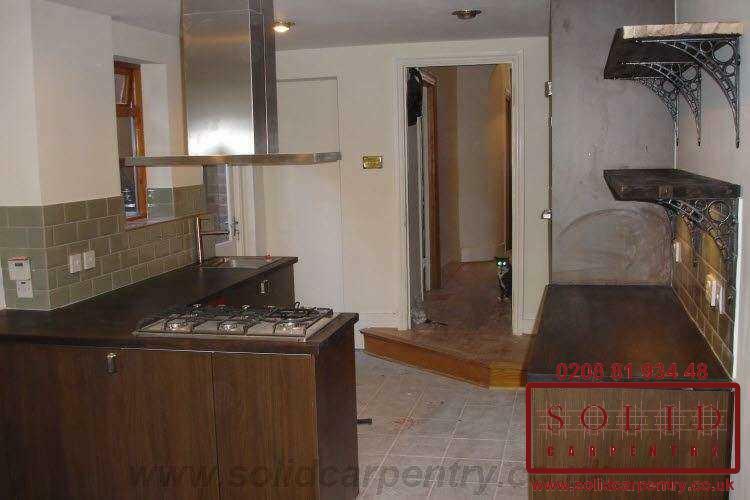 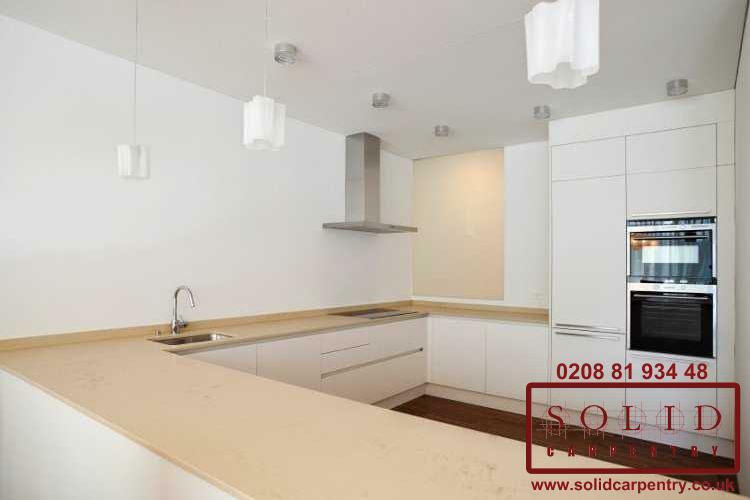 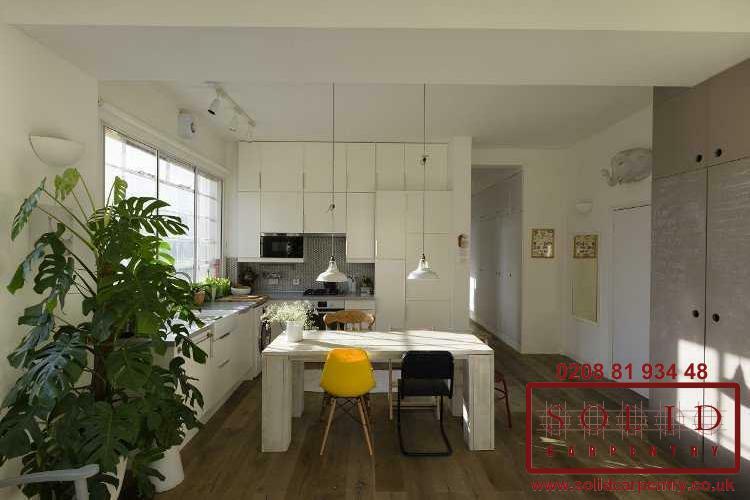 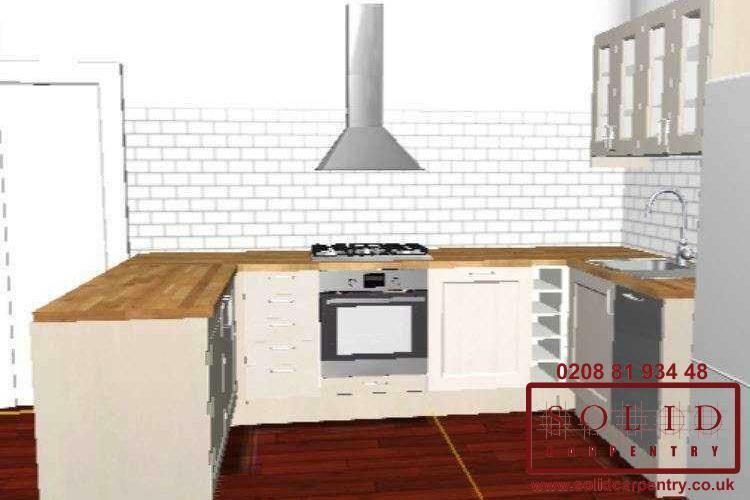 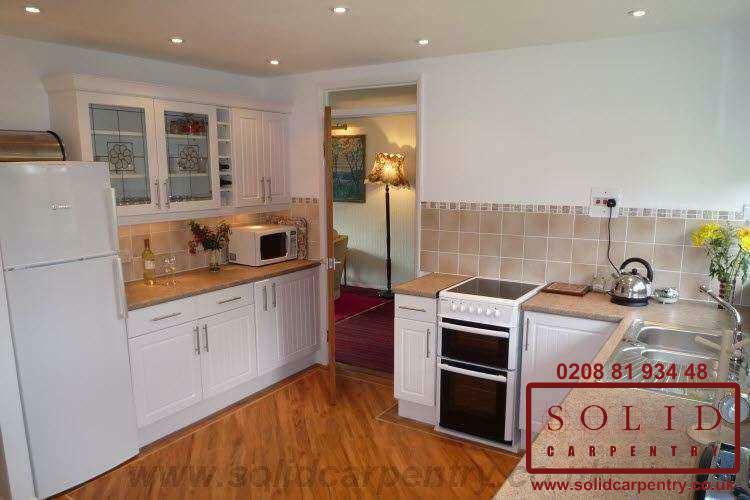 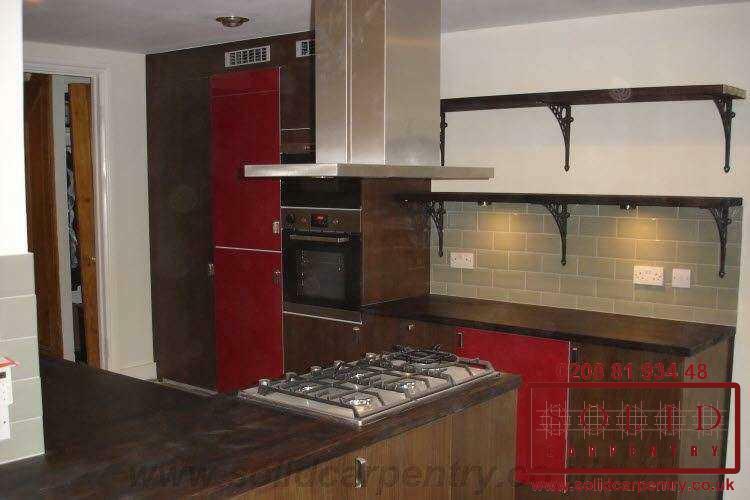 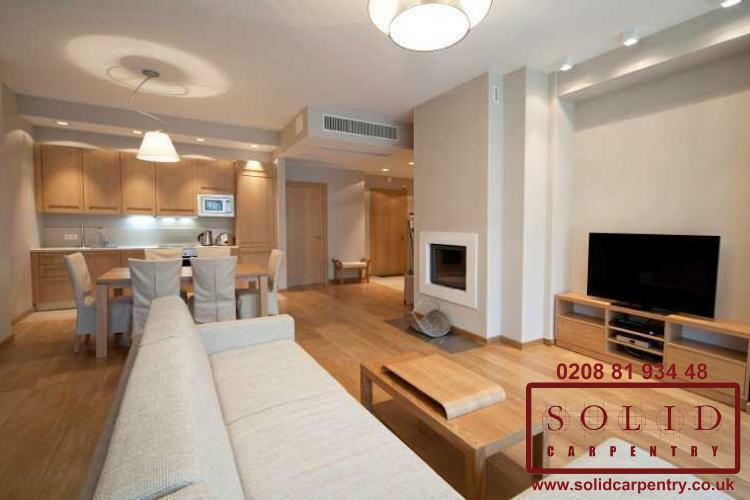 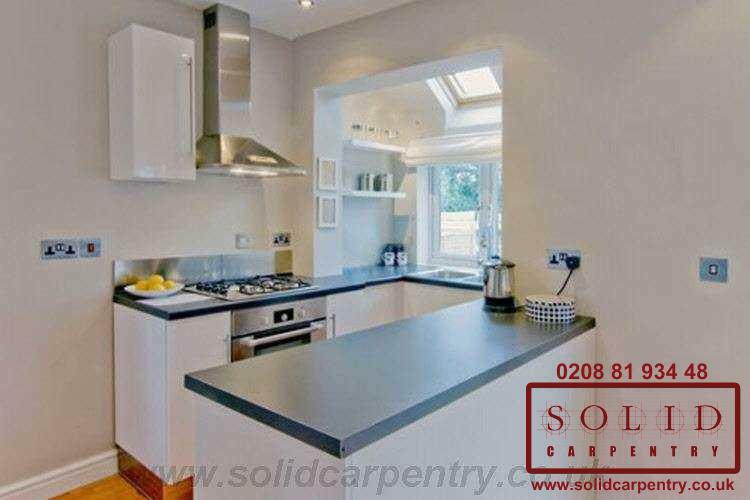 With Solid Carpentry kitchen fitting and installation services in London, homeowners can cook, eat, and entertain in their dream kitchen for many years to come. 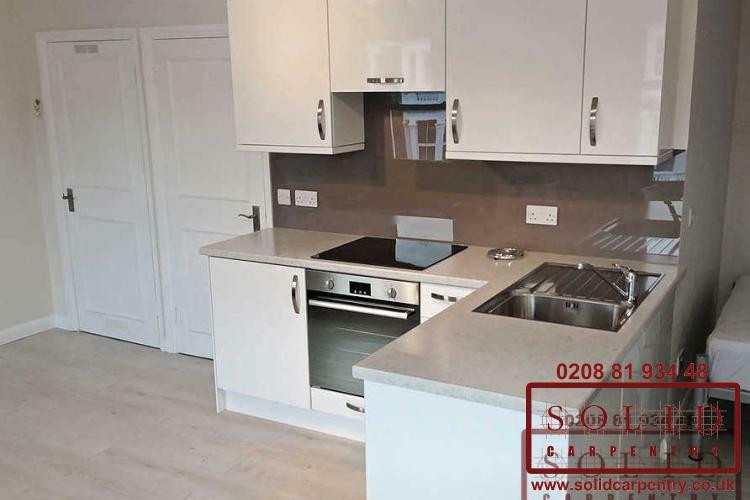 You can see from our Gallery pictures that we can design and build your bespoke kitchen in a range of styles and finishes. 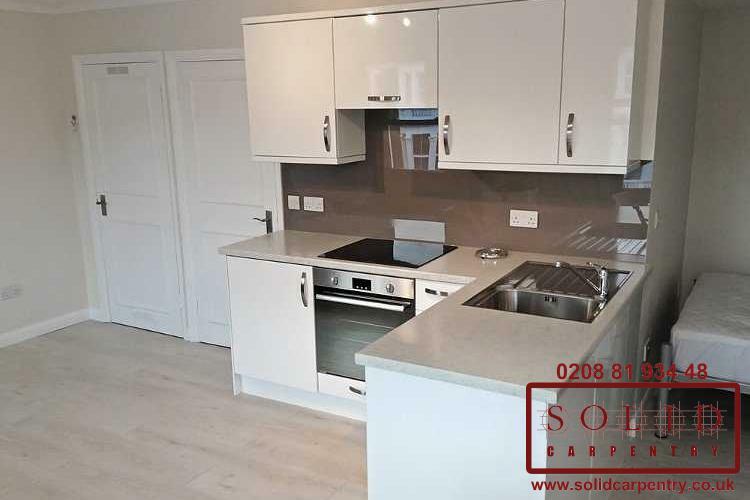 We can design and fit your kitchen in traditional wood, hand paint its elements in a colour of your choice or help you to create a more contemporary look using high gloss or matt finish doors in varying materials. 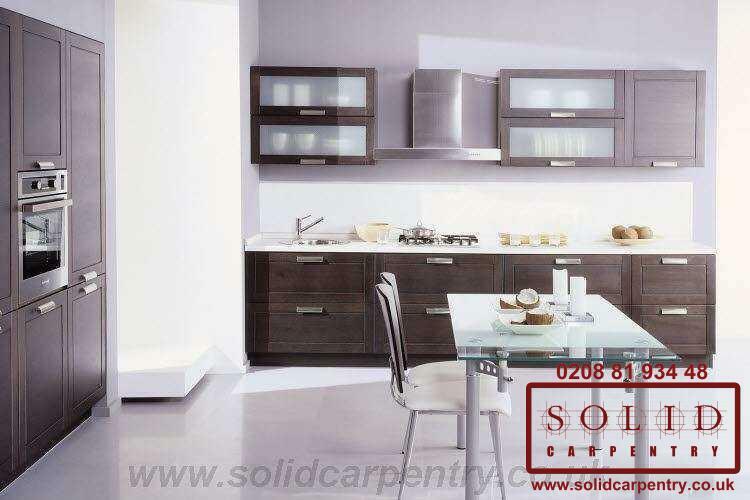 Whatever design you choose, one thing is for sure - a Solid Carpentry kitchen, skilfully built with durability and functionality in mind, will stand the test of time. 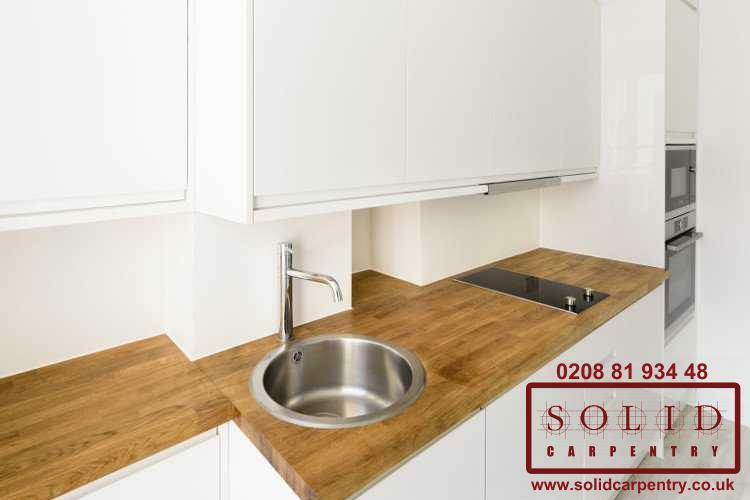 Many of the bespoke kitchen designs above were crafted by hand in our fully equipped London workshop. 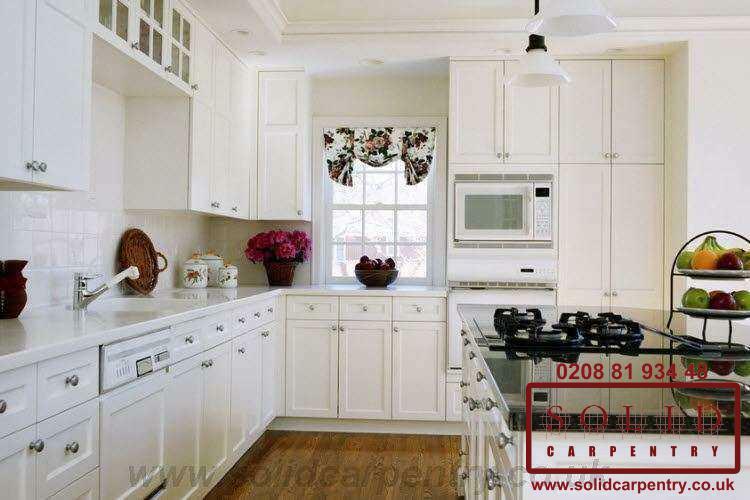 Using the drawings and design imaging featured above, our carpenters constructed each kitchen’s components using the best quality woods and materials, fixings, and hinges. 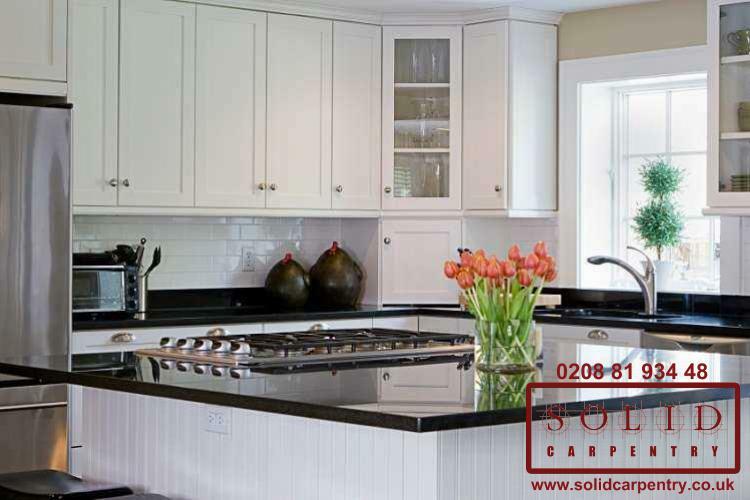 We’re committed to ensuring every fitted kitchen we install is built to last and remains a cherished room in your home. 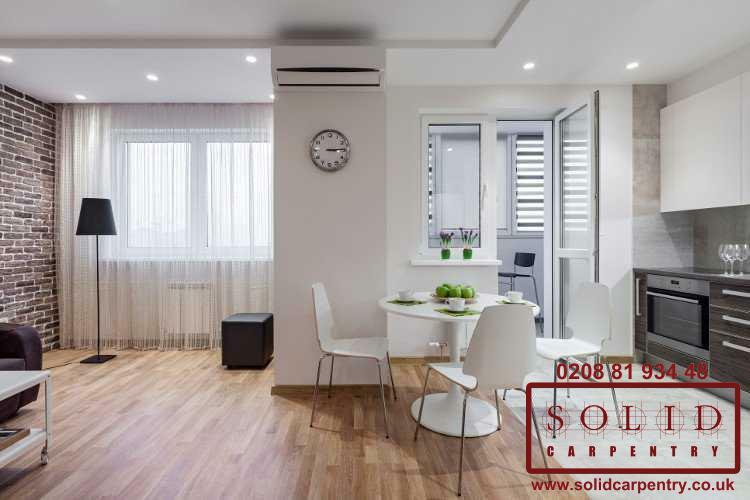 Our excellent reputation stems from taking the time to talk to and understand our customers’ vision, and then carefully making it a reality. 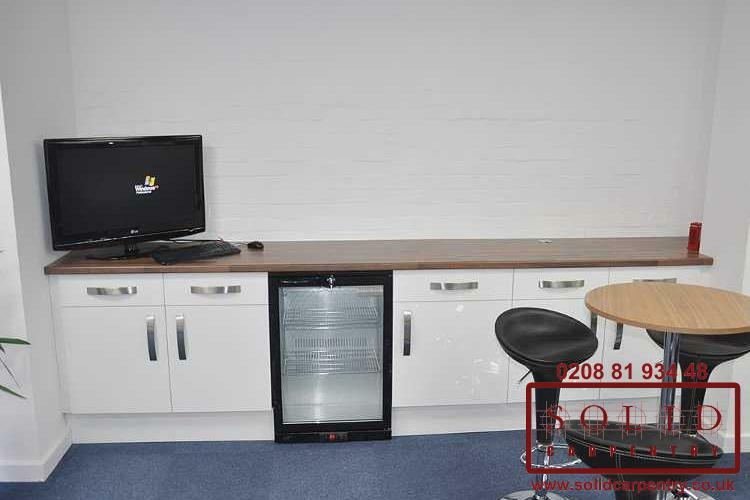 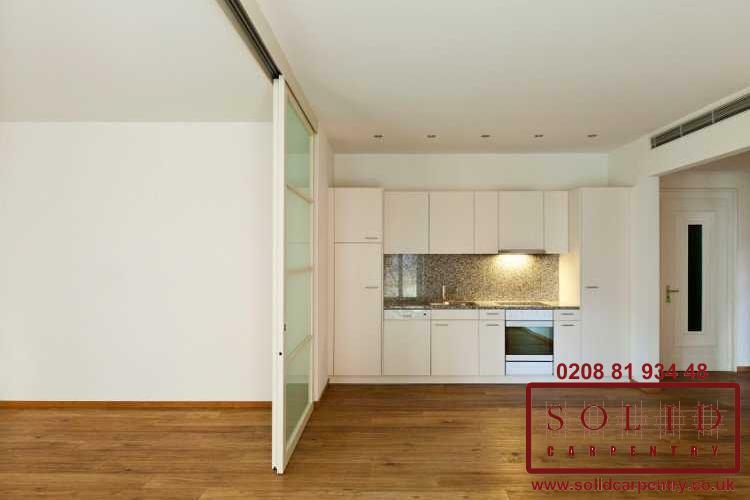 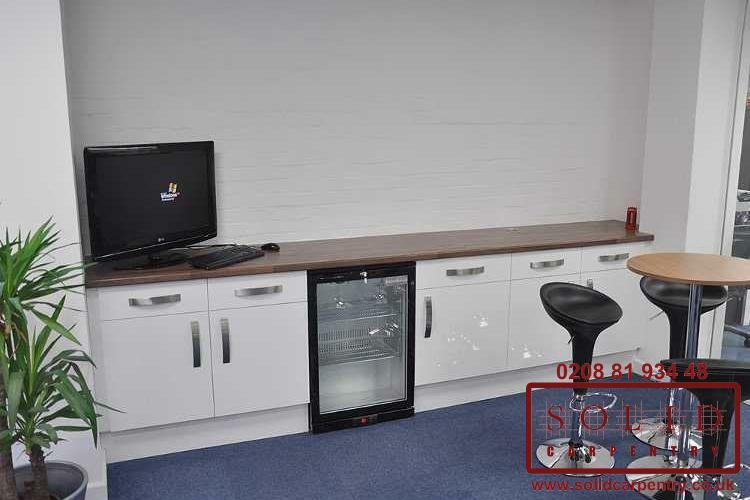 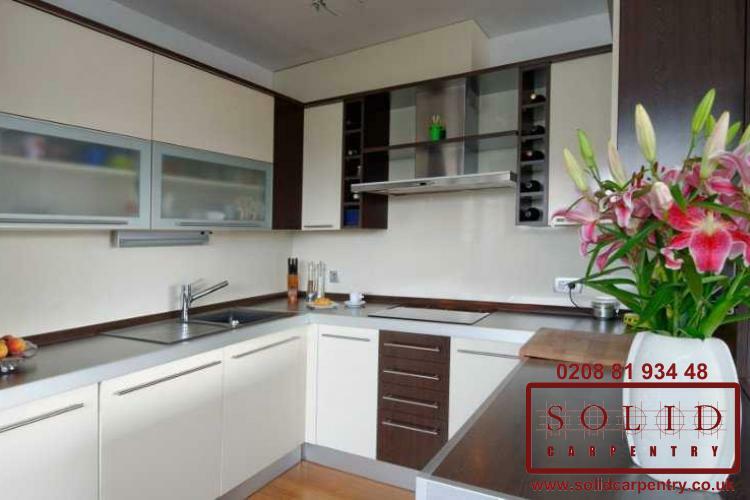 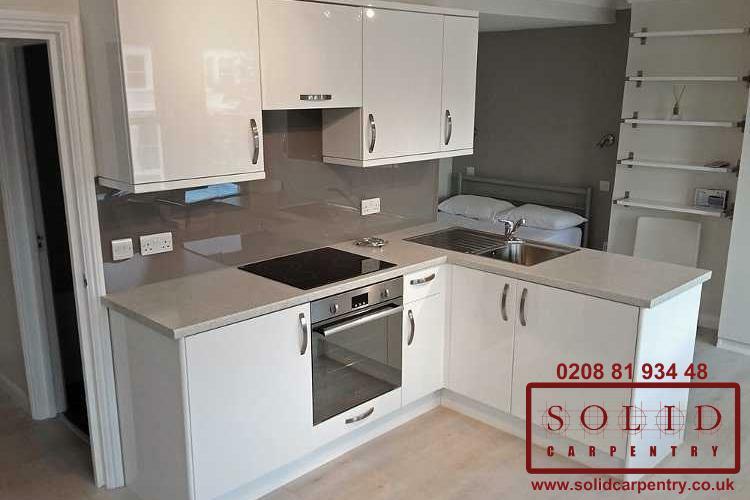 We pride ourselves on providing a superior, competitively priced kitchen fitting service in London that allows everyone, regardless of whether they want a low-budget refurbishment or a top of the range installation, to enjoy a bespoke kitchen tailored to their individual requirements. 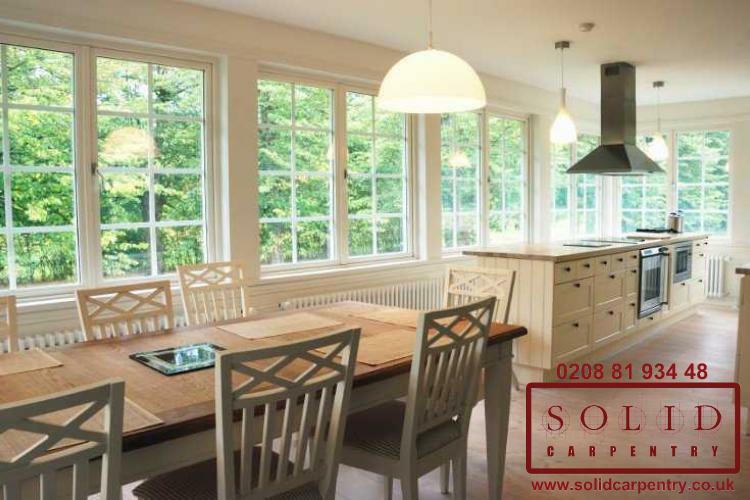 Get in touch today for a free no-obligation quote. 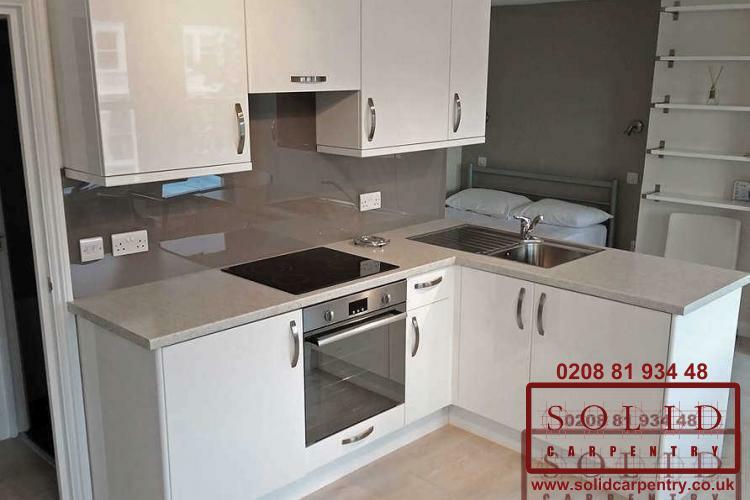 Professional, clean, efficient - excellent service. 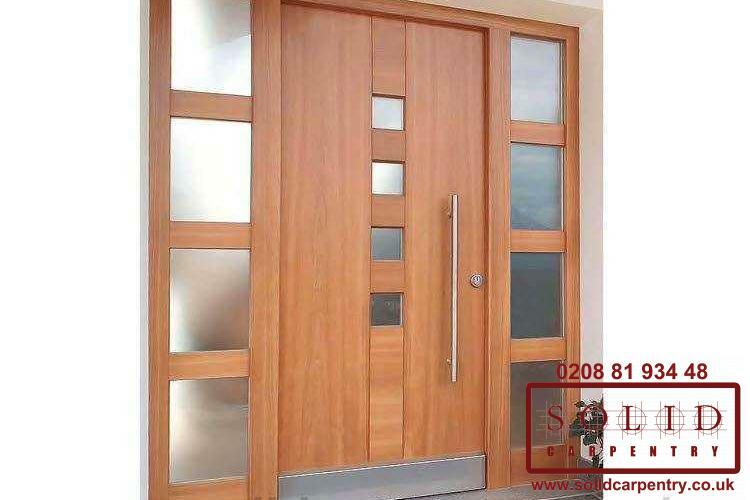 Would recommend and use again.